Why work at Zekiah Technologies? 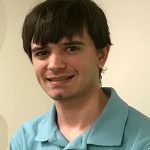 – Zekiah Technologies, Inc.
Driving to Zekiah Technologies for the first time as a new intern, there was only the road and my questions. I wasn’t sure what to expect from the people there and I didn’t know what they were going to expect from me. The questions intensified as I drove. When I finally arrived, my head was buzzing with uncertainties as I turned to see the Zekiah offices for the first time. Looking at the small unassuming La Plata building that houses offices for Zekiah Technologies it could be hard to imagine why someone might want to work there or even imagine what the company even does. The answer may surprise you. Zekiah Technologies is an innovative small business that focuses on software development, data analysis, geospatial technologies, and more. They are a government contractor that has served many important entities including, the US Coast Guard, the US Navy, the Columbian Navy, and the State of Maryland. Something that might bring someone to Zekiah are their core values that go hand in hand with a small business model. The first of Zekiah’s core values is the concept of the “Corporate Family”, that they are a close-knit community more than willing to support their employees in and outside of the workplace. This would be much more difficult to do if they had hundreds or thousands of employees. For example, a relatively new hire, who is admittedly a low-level employee, has her office right next to the president of the company, and the president values her input just as much as any other. Everyone who works at Zekiah is on a first-name basis with one another, and there is a real community there that you may not find at larger businesses. As far as doing business goes, there are certain advantages to keeping size down. There is a ‘nimbleness’ that small businesses have that larger corporations lack. For example, if a proposal needs to be approved and submitted for a possible new contract, there are less desks to cross before it is sent off to take part in the bidding process. Because this process is much less painful and arduous than it might be in a much larger organization, if there is an error that needs to be fixed in the proposal before it gets approved, or if the proposal needs to be thrown out and rewritten altogether, having to resubmit it is a much more streamlined process. Another thing that small businesses do well which many larger businesses fail, is allowing their star employees to truly shine. In large organizations with an exhaustively long chain of command, it can be incredibly easy for a supervisor to take the credit of their subordinates, even if it is not intentional and simply a misunderstanding of a manager. In a small organization since most employees are going to know each other, the odds of this happening decreases. The fact that Zekiah is a government contractor, instead of a private sector business, is another good attractor for potential employees. The government is always going to need people to do jobs for them, so there is better job security. More importantly, working for the government and working to satisfy the wants and needs of the public are very different things. Working in the public sector has a lot of guesswork involved, such as estimating demand, identifying trends, and trying to create the optimal product to sell to the right people. The contracting process takes a lot of that guesswork out of the game completely. The government tells the contractors what they want, and how much they want, and the contractors respond with offers, and a winner, or sometimes winners are chosen. Now, things aren’t always that cut and dry, in fact they very rarely are, but I think government contracting adds a degree of simplicity to running a business compared to the extremely volatile consumer market. As a government contractor, lots of Zekiah’s projects are of great importance to the United States and the world. The importance of the work that is done at Zekiah is another draw for potential employees. For example, have you ever heard of the Electromagnetic Rail Gun being developed at the Surface Warfare Center at Dahlgren? The experimental weapon that fires a shell at Mach 7 practically using a bolt of lightning? Zekiah supports that project. Not only is their work important, it is interesting as well. Zekiah created a web app that visualizes climate data (Climascope), they made a map system to assist the Columbian Navy with its drug interdiction operations (Capricornio), and they even created software that uses telescopes to collect orbiting data from satellites. Working on such projects allows for employees to take real pride in their work, pride they might not get simply writing apps in Silicon Valley, or designing the next incremental upgrade for a line of smartphones. When I showed up at Zekiah for the first time, I was naturally very nervous. I was unsure of what I would exactly be doing, and I was travelling a pretty long way for the opportunity. I was unsure that I had the skills I needed to be useful and I didn’t know what level of involvement in the organization I would have. In my first week here, many of the same questions remain, but I am not quite as nervous after talking to several of the people here. The idea of a ‘Corporate Family’ is much more than just a sign on the wall at Zekiah, it is obvious that they take their values very seriously. All I can do is do the best I can and get better wherever possible. I’m okay with that. Zekiah might be a little fish in a big sea, but they make some pretty big waves, and it’s easy to see why someone might want to work there. This post was written by our intern Zach. Come work with us! View our careers page to check out our benefits and current openings.